We call the kitchen the heart of the home, but the living room is just as essential for bringing your family together! 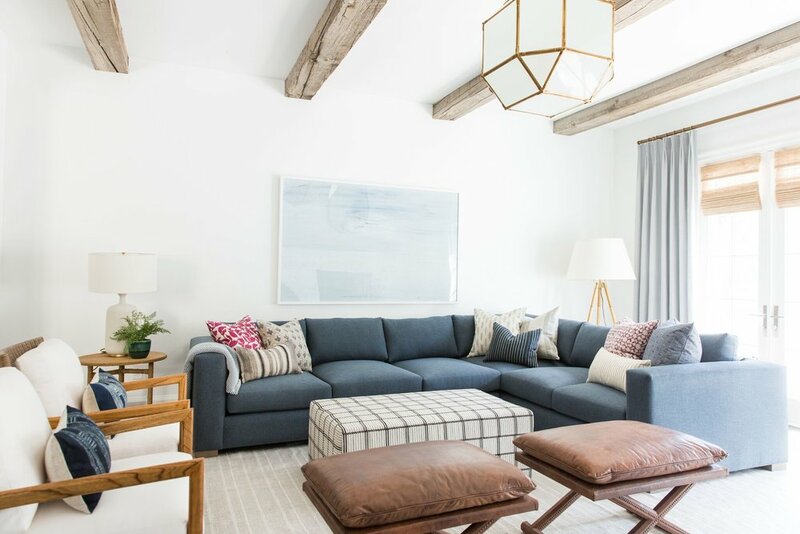 If you watched yesterday's webisode, our clients specifically requested a space that would be bright, comfortable, and inviting because they spend most of their time here. It's connected with the kitchen and dining area, so we knew it'd receive a ton of traffic. 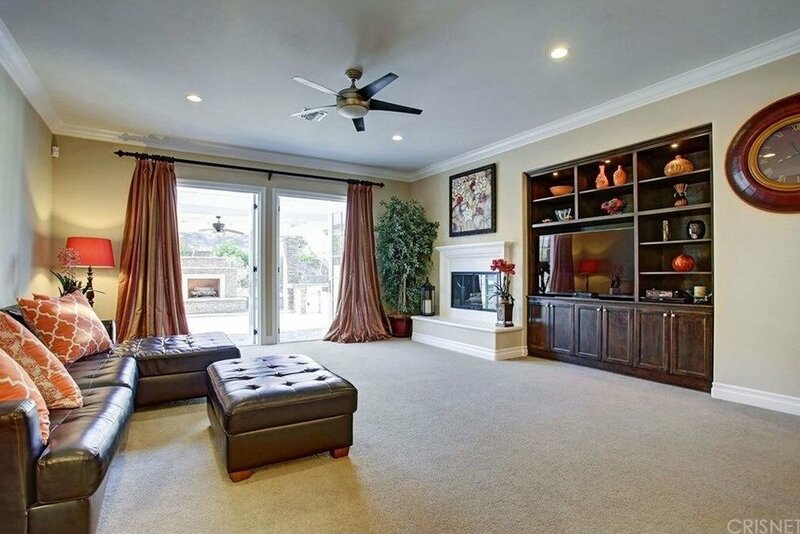 Catch up with the rest of the Calabasas Remodel by checking out the Great Room, Master Suite, Kids' Rooms, and Kitchen + Laundry Room! 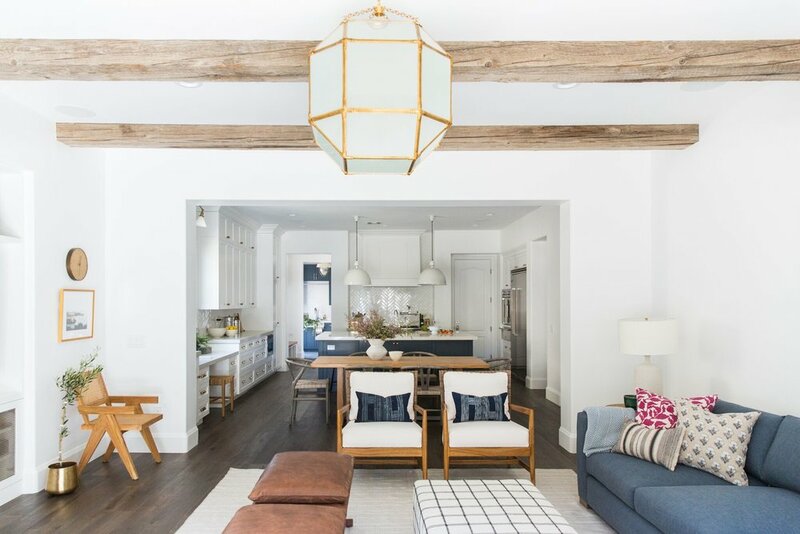 A fresh coat of paint and reclaimed wooden beams really made the space feel open. 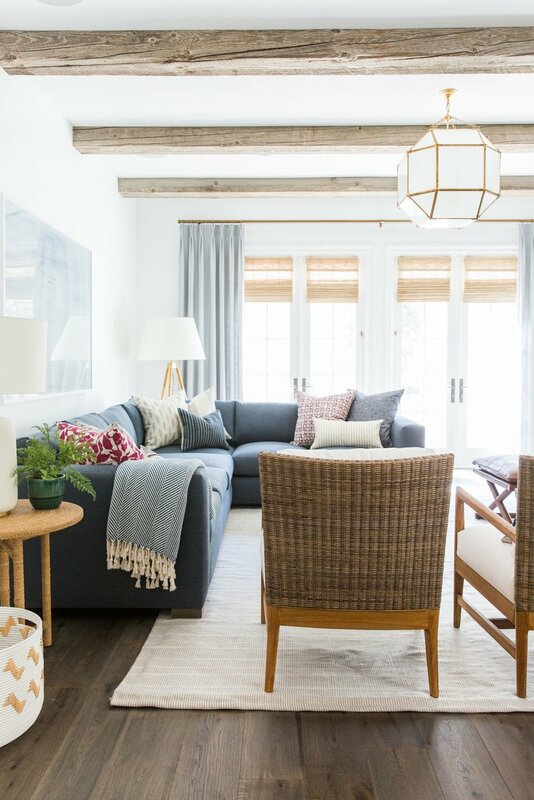 The beams elongate while contrasting with the white paint, creating a bright coastal vibe. The wood is from an old barn, and they bring so much character and charm to the space!! A custom sectional allows for plenty of seating, and an opportunity to add more navy! (the number one color request from our client!) Texture is always welcome in a coastal space, so we created more with a custom ottoman, and leather stools. You can't beat their functionality either, there are so many places to sit and hang out! A high-traffic area calls for a durable rug so we used the Samson. It's an indoor/outdoor rug so it's easily cleaned, and the neutral color is versatile and timeless. 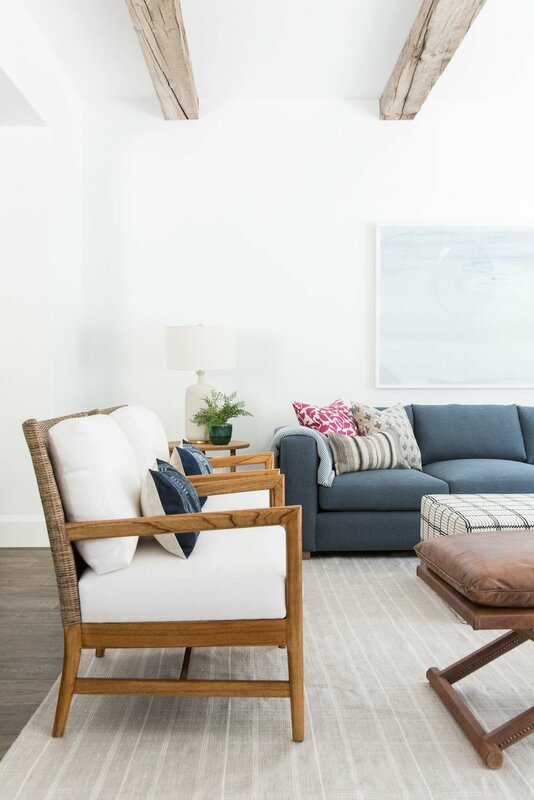 A calming art piece that doesn't compete with any of the decor fills the open space above the sofa. A Morris Lantern is always fitting for a space that's grand, but casual. 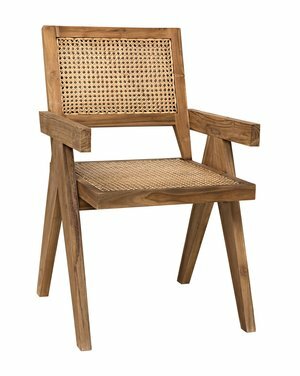 A rattan wrapped side table and a textured table lamp ground the left side of the sofa. The lamp has this volcanic ivory finish that is so pretty. A basket is always necessary in a living space. It's a great place to stash throws and other knick-knacks. We anchored the center of the fireplace with the Lawrence Mirror. It may have a simple shape, but it's the opposite of boring. 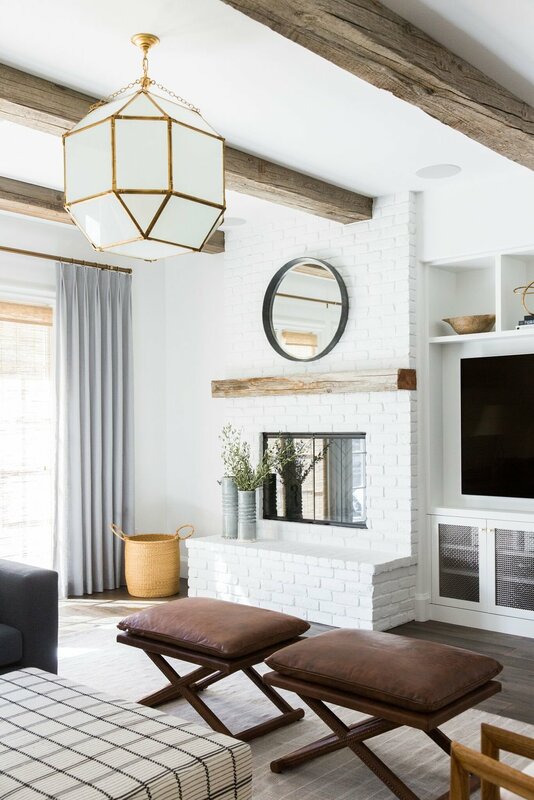 The dark finish contrasts beautifully against the white brick and wooden beams! We went minimal with the accessories on the fireplace, so we chose pieces that were substantial enough to fill it up on their own. Ribbed vases with an oceanic sage finish paired with a simple, natural woven basket did the trick. 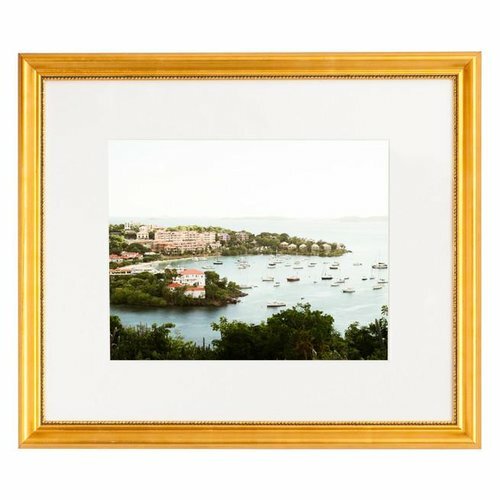 They also keep with the coastal vibe of the entire home! This little moment was one of our favorites. The beautiful portrait of St. John and a textured teak chair make it feel like a little getaway, and we juxtaposed the golden pot with a cool, masculine wall clock. Don't miss the family room webisode to see how it all came together!